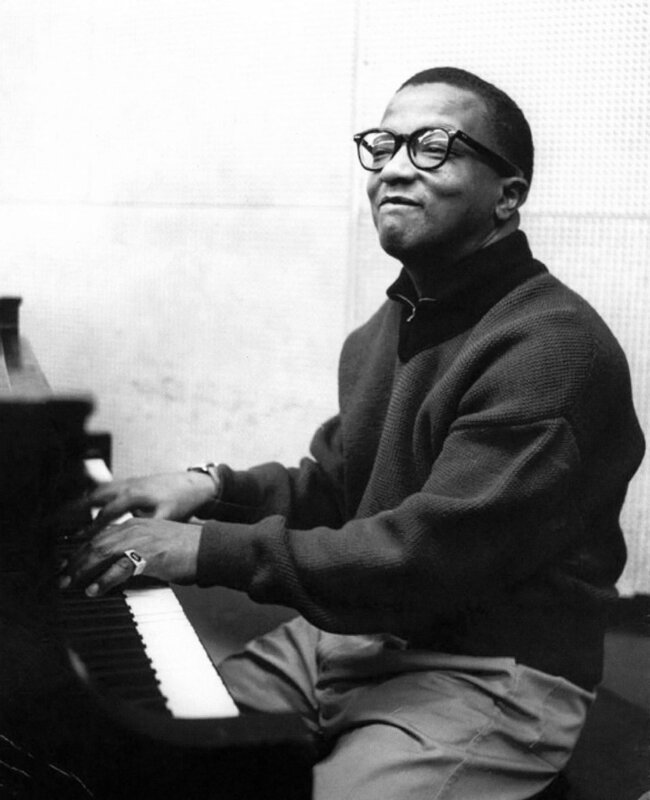 Billy Strayhorn initial inclinations were towards classical music, but the oppressive social barriers at the time made an entry into the classical realm much more difficult than one into the jazz world. Strayhorn was talented enough to excel in either, and given the nature of classical composition in the 1930s-1960s, it’s fair to comment that the more meaningful and relevant new music was being produced as jazz and not the “avant-garde” school music composed for the concert hall and academia, which received limited performance and provided limited commercial recognition and compensation. Billy Strayhorn was diagnosed with esophageal cancer in 1964, and bravely fought on, continuing to compose, even at the end when hospitalized, with his last year including works like “Blood Count” and “U.M.M.G. 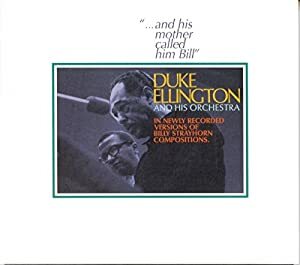 (Upper Manhattan Medical Group).” On May 31, 1967, he lived his last day in Billy Strayhorn’s body, but continued to survive through his arrangements, compositions and recordings, with this memorial album, “… And His Mother Called Him Bill”, a timeless work of deep love and respect from Mr. Ellington and his orchestra, providing an everlasting, very personal homage to this great 20th Century giant. On the original LP, the last track is a fortuitously captured recording of Duke Ellington reflectively playing Strayhorn’s “Lotus Blossom” with bass player Aaron Bell, however the chance recording only has one working microphone and captures only the piano portion of this private performance. Later, a trio version of this was recorded, but the producer found the spontaneous version more emotional and selected that. Both versions are particularly poignant with the solo piano version more personal and the trio version more polished. One can get both versions either in the Duke Ellington Centennial Edition 24 CD set or in the most recent (2016) CD reissue. The tracks on the original LP are all excellent and transcend any stylistic classification. If you love listening to the very best music, whether classical, jazz, rock or anything else, and attentively, actively listen to music, not just having it on as background but diving deeply into its innermost fabric, then you will find this album enormously rewarding. Check out Must Listen To Music for recommendations of other classic works. "And His Mother Called Him Bill"